Author Name: Dlabay, Les R.
MULTIPLE COPIES AVAILABLE!! 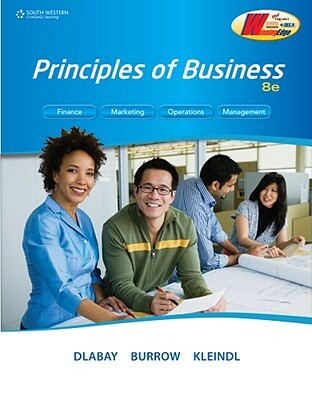 Cengage Learning: Principles of Business, Student 8th Edition (Hardcover). Copyright-2012, ISBN:1111426945. These books are in VERY GOOD condition with clean interior pages, intact bindings, and only MINOR wear to the exterior covers! We ship daily, Mon-Sat. Customer service is always our top priority! PRINCIPLES OF BUSINESS, Eighth Edition, prepares students for the real world of business with complete coverage of finance, marketing, operations, and management.